Loyal and loving, our furry friends always seem able to get themselves into mischief leaving them in need of a good ol’ doggie bath! That said, we can’t help but love them all the same, so why not show Rover how much you care by treating him to a nice new bed to rest those Muddy Paws? Shopping with a Muddy Paws discount code allows you to enjoy great savings on their range of dog beds, crates and accessories! Family-run from Dorset, Muddy Paws test out all of the products they stock on their very own cocker spaniel (who goes by the name of Oscar) and is fast becoming one of the UK’s most well-loved spots to pick up everything you need to keep your own pooch happy. They aim to provide a wide range of high-quality products which look great, stand the test of time and represent value for money, and are always on the look out for new and innovative products. 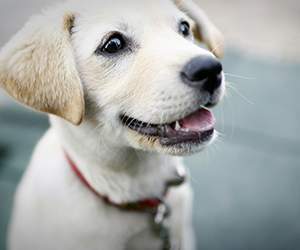 As well as their online shop they also offer new and experienced dog owners alike plenty of tips and advice on how to keep your dog happy and healthy throughout all stages of their life. From the bundle of joy puppy stage right into their old age, dogs require plenty of love and care—and a few treats along the way too! When you shop online with your Muddy Paws voucher you will be able to pick up all the necessary bits and bobs for your dog from beds to feeding bowls, and maybe even a few extra toys will make the way into their basket via yours—especially when you see how much you can save with a Muddy Paws promotional code! Stop by our website to pick up your free Muddy Paws promotional code and then bound over to the Muddy Paws homepage to begin browsing. If you already know exactly what you’re searching for then use the labelled tabs to locate the relevant department, or get inspired by their slideshows for tips and ideas on the latest from their selection. Once you’ve located your favourite items, simply add them to you shopping bag and then review this at any point as you shop by clicking on the basket icon at the top right hand side of the screen. When you are ready to continue to the checkout, you will be able to locate the “Enter Promotional Codes” box beneath your order summary, where you can enter your Muddy Paws discount code then click “Redeem”. The discount will be automatically applied and your total price updated. After entering your personal information and payment details your order will be confirmed and soon on its way out to you from Muddy Paws, prepare to see one happy pup, and enjoy a great saving too! From lovable Labradors to giant Great Danes, every dog needs a cosy place to curl up at the end of a long day—provided they don’t already sleep in your bed that is! When using a Muddy Paws promo code to purchase from their expansive selection you will be able to buy plenty of dog-friendly accessories which make taking care of your pooch that little bit easier, and all with a tasty saving popped in there too. Explore their extensive range for yourself by visiting Muddy Paws online today and take a look at their long list of brands to check if your existing favourites are featured. Make sure to treat your pooch to all kinds of toys and treats when you shop online using a free Muddy Paws voucher from our website! Thanks to couporando.co.uk you will have no problem to find valid coupons for Pets & Accessories category. Apart from the newest Amazon UK codes there are lots of rabates which your can redeem at Pets at Home, Zooplus . The choice is immense! Seek inspiration with a flick through their carefully curated slideshows on the Muddy Paws homepage, then go on to choose your favourite products from the range. Click on the item’s photo to be taken to a more detailed page where you can see further details about the exact specifications of the product. 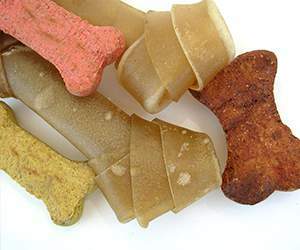 If you’ve decided this is the product for your pup, then simply “Add to Bag”, or continue shopping for further additions that your dog will love. When you are ready, select the basket icon from the top right hand corner of the screen to complete your payment and place your order. If you have a Muddy Paws discount code locate the “Enter Promotional Codes” box just beneath your order summary, where you can enter your Muddy Paws promotional code then click “Redeem”. The discount will be automatically applied and your total price updated. You will need to create a user account with Muddy Paws to make shopping next time even faster and more convenient as well as being able to track your order on its way to you. Allow their collection do the rest by clicking over to their website to get started with their online shop. Just remember to collect your free Muddy Paws promo code from us before you arrive! Standard Delivery on all orders placed over £49.00 = FREE! Receive a full refund from Muddy Paws within no time at all! Be sure to keep them in your newsfeed, and share the latest updates with friends as soon as the new Muddy Paws promotional code becomes available! Buy now online at www.muddypaws.co.uk. Gone are the days when our dogs slept on the ground and ate scraps from the table (well, ok, maybe not totally gone), but I can tell you that my own personal pooch has no fewer than three of her own beds. All of which to say that I don’t simply use my Muddy Paws discount code and Muddy Paws promotional code, I practically take advantage of them. With a Muddy Paws discount code that down jacket doesn’t look so foolish (in terms of price), with a Muddy Paws voucher, springing for that third kong is practically inevitable.